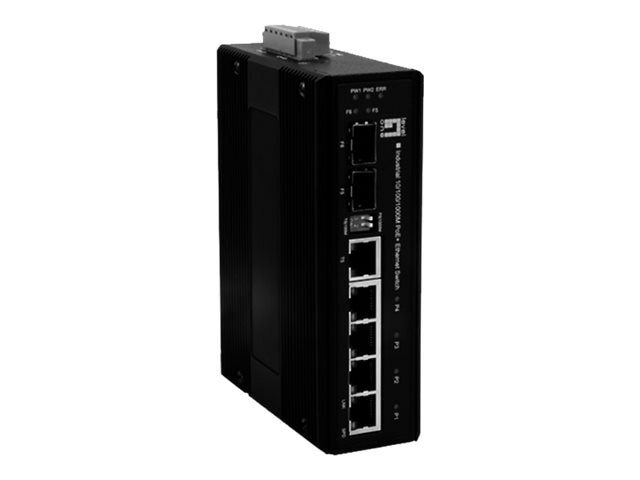 LevelOne IES-0620 industry Ethernet switch provides many ports to enable high speed network at mission-critical environment. The compact metal housing is designed for desktop space saving, plus the clearly visible status LEDs provide simple monitoring of port link activity. Moreover, the SFP slots support pluggable modules enabling you to choose from a variety of transceivers.